Laura Ingalls Wilder didn’t have a Dishwasher! Earlier this week on my Facebook page, I casually shared a tip about how I use Lemon essential oil to keep my dishwasher from getting stinky, which I assumed would lead into a simple discussion about household cleaning and essential oils. Imagine my shock when I popped over to the page to find folks expressing their displeasure at the fact that I have a dishwasher. I sure didn’t see that one comin’. So I’m clarifying a few things today. I am a modern-homesteader, not a historical reenactor. And as a modern-homesteader, it is my goal to weave as many old-fashioned skills as possible into my 2013 existence. I want to enjoy the best of both worlds. As much as I like Little House on the Prairie, it is not my goal to emulate every single part of the book series. I am thankful (yes, thankful!) for my washing machine and dishwasher. I personally do NOT think they detract from my goal of a wholesome, old-fashioned lifestyle in any way, shape, or form. In fact, I think they enhance it. 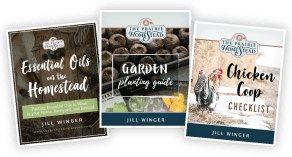 You see– while modern homesteading might be considered the “simple life,” it is not easy. The workload I have from my garden, barn chores, milk cow, and from-scratch cooking is intense— especially when compared to the lifestyle of the average city-dweller who may or may not have to feed their goldfish before they plop down in front of the TV for the night. But I’m also not Superwoman (sorry to disappoint you…), and trying to juggle the demands of homestead life while mothering two very small children and running a booming online business while my husband works in town isn’t for the faint of heart. If I were to cast aside all modern conveniences just for the sake of being old-fashioned, then all of my time would be spent washing forks and socks by hand and stirring my homemade soap with a wooden spoon. And of course, if I were to be completely authentic, then I should toss my computer too– that’s definitely a new-fangled invention. I have no shame in mixing some modern convenience with my love of old-fashioned knowledge. In my opinion, that is the beauty of modern-day homesteading. If you prefer to wash your dishes by hand, or find some sort of spiritual meaning at the opposite end of a post-hole digger, then by all means— go for it! I’ll be the first to pat you on the back! For now, I’m happy in my crazy little mixed-up world of technology and old-fashionedness. I’m sorry if this is disappointing to some of you- but I want to be completely up front with how I live my life. Why are They cracking on you from THEIR computers?! Uh… HULLLLOOOOO!! You go girl! This was a really funny post and the quote above had me laughing out loud! I too have a dishwasher and a PTO driven auger and I am perfectly okay with that! Farming is hard work and I need al the help I can get. Well, they obviously don’t live the same way we do 😉 Or they would be totally on board with the dishwasher and washing machine! All, I can say is…What are they powering their computers with??? A treadle powered generator ???? Silly them, We have the luxury of picking and choosing what we want to bring with us to our modern daily world. To be honest, I don’t think I could live the way they did in the 1800’s and prior…Nor would I want to !!! Isn’t it wonderful that we have choices ???!!!! I admire you and your thoroughly mixed up days and Love hearing about them. This blog post nicely sums up modern homesteading. My appliances free up time to maintain my home and farm. Feeding a hundred animals and cooking for four adults, plus canning for Winter, takes loads of time! Using the tools available to me allows me to do more and do it better! wow. I live in the city, and work full time running an apartment complex, while raising kids, too. I can promise you I have a hell of lot more to do than just “feed the goldfish before plopping down in front of my TV for the night.” seriously? I doubt that Jill was referring to someone like you, who obviously knows what hard work is. More likely the folks who criticized her for using a dishwasher are living a life of more ease and really don’t “get” it. I wasn’t one of those who made the derogatory comments to her. I didn’t see them, but I am sure they were very unnecessary. I was taken aback when I saw that comment, however. I wish to be one of those city people who can sit back with the remote. Usually though I am cooking dinner, washing dishes, helping kids with homework, preparing hubby’s and kid’s lunches for next day, etc. I spend most of the day on sunday shopping at the Farmers Market, cooking from scratch, and freezing soups, biscuits, etc, doing laundry, etc. etc. Years ago I worked on a dairy farm, mucking stalls, lugging the heavy stainless steel milk “jugs” to the holding tanks, feeding, etc. We also went out haying as well. The farmer’s wife had a regular washing machine, dishwasher as well. Otherwise with 3 daughters to raise, she couldn’t have possibly kept up. So whoever says she is not a true homesteader, tell me, who is? Laura Ingalls Wilder was. Sorry to be the bearer of bad news, but none of you will ever be Laura Ingalls Wilder, and I am sure most of you don’t live in an uninsulated shack without a refrigerator or toilet, so don’t judge. However, there is a section of our society whose main goal appears to be to make everything as easy as possible– In fact, I personally know several people who actually wouldn’t even own a goldfish, since that would be too inconvenient for their TV-watching ways! Those are the folks I was aiming my tongue-in-cheek comment at. Well spoken and thank you for everything. Great post. I wrote a post a while ago about losing our microwave (http://www.themessyorganicmum.com/2013/02/death-of-microwave.html) and I got a lot of odd comments too. I ended up deleting a lot of nasty ones. No we don’t own a microwave but we own a washer and dryer (for when it is rainy or too cold and the wood stove isn’t running) and many other modern appliances, like a lawn mower. Thanks for making me laugh this morning, I needed it. Now I am off to make a cup of coffee in my coffee maker/espresso machine. How crazy to think people would think you should not have a dishwasher, etc. I guess you shouldn’t have electricity either then. Come on!!!! Get real folks!!! For those out there that know the Little House on the Prairie series by heart, (yep, I’m I complete Laura Ingalls nerd!) it’s important to note that in “These Happy Golden Years” when Ma and Laura are sewing for Laura’s upcoming marriage to Almonzo, Pa buys her a sewing machine, and she loves it! I think of Ma everytime I make butter in my food processor…how jealous she’d be! My husband might beg to differ with you on the question of nerdiness, but I say it’s the right kind of nerd, lol! Just to join in the nerdiness, there’s the scene (I think Plum Creek) when Ma is so happy because she gets the new woodstove – I’m assuming it was the “latest and greatest” at the time and place. Ya gotta love them for not recognizing irony there – berating someone for having a dishwasher while homesteading – from a computer or, even worse, a smart phone. 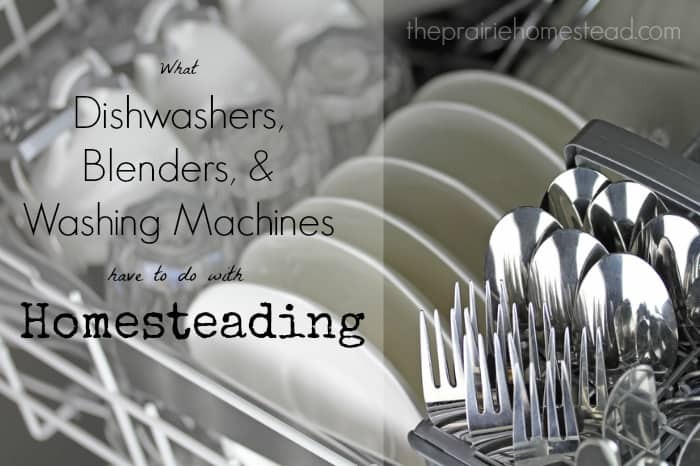 I have a broken dishwasher, but there’s only two of us – be that as it may, it doesn’t mean you can’t be a modern homesteader. 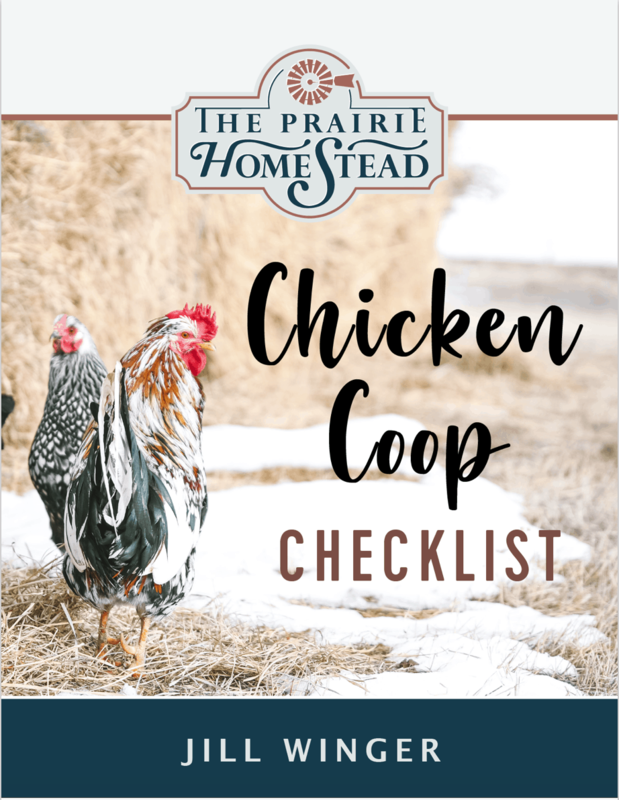 I don’t know that I “qualify” as a homesteader…no farm no cows we do have chickens! But simply cooking real organic food and tending the chickens and the garden plus working outside the home full time and raising 2 boys is a LOT of work. I cant imagine if I added more land a cows to the mix! Shame on them for thinking that you were somehow “less” for taking advantage of the modern amenties we have at our disposal! I’m sure they did it from the couch with their Iphones while lunch was in the stove or worse yet the microwave!! One irony is that our electric coffee pot kicked the bucket this AM, (right before I read your post on my IPhone, lol!) which made my hubbie and I seriously bummed. Having to wait that much longer for coffee while our Coleman stove top drip heated up sucked rocks. This made me LOL this morning! I see nothing wrong with using things to make your/our life easier! I am curious if these same people that are finger pointing are using a vehicle, going to an actual grocery store, using a cell phone, using indoor plumbing, and the list goes on and on! Good for you for sticking up for yourself and all of us who are trying to make our lives just a little easier! Bam! You go girl!! LOL…Hubby and I are hoping to be off grid and self sufficient….’as much as possible’ and that’s the caveat. It’s all fine and good to live like Daniel Boone if you can stomach it. We can’t…in a modern world as we have it is very difficult to live 100% the way they did 200 yrs ago. And why should you?? There is NOTHING wrong with marrying the best of both worlds and coming up with a life that is wholesome, and as natural and healthy as possible without having to skin something and turn it into a pair of winter boots. I had a dishwasher in my last house, but I had 4 people in the house and 2 of them were chronically ill and required 24 hr care, not to mention their main meal was not the same as my family’s meal time. So I was cooking full meals all day and burnt out a brand new stove in a matter of 5 yrs. I would have been done in without the dishwasher. Now it’s just the two of us, with a university student home on the weekends. This I can handle without a dishwasher, but as I consider my upcoming foray into the world of canning, I’m wishing I had one to easily sterilize the jars.We are living this way not just to be healthier and close to the land, but also to live as cheaply as possible. The electricity I would use to boil all those jars in batches is probably more than doing them all at once in a dishwasher. Anyway, way to go Jill. I think you are doing a great job of mixing old and new world ways and I admire the heck out of ya! 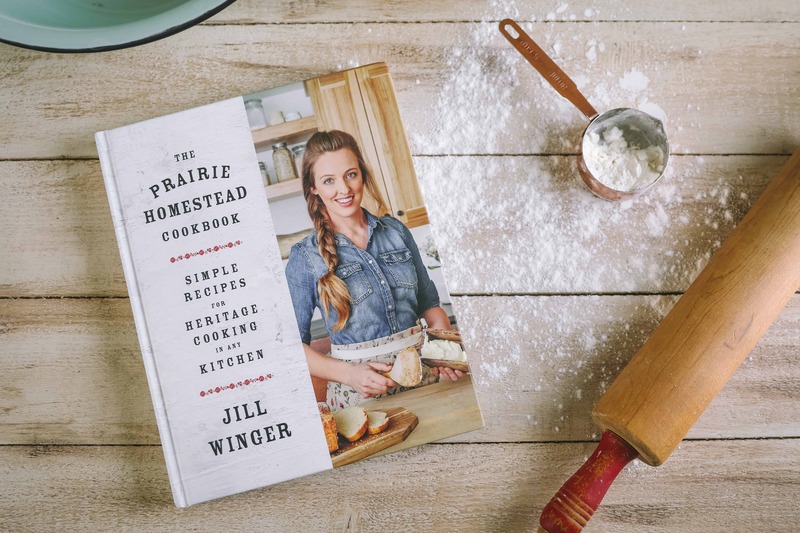 “I am a modern-homesteader, not a historical reenactor.” This made me LOL for real! I love my dishwasher and washing machine. I am on my homesteading journey to marry the good from the past with the good from the present. I feel that with all of the technology we have now we need to be really careful about which ones make life better and which ones detract from it. But the washing machine makes my life easier for sure! Our ancestors were all about getting a job done the most time efficient way, so there was more time to spend doing other jobs. That’s what your doing. I read this by email first thing this morning and LOVED it! 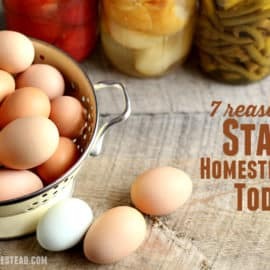 Yes, I want to master as many homesteading skills as I can, but we have so many simple conveniences for which our ancestors would have been grateful. (I wonder if your detractors also travel everywhere by covered wagon? Or would refuse a life-saving surgery that only modern technology makes possible?) I believe it was a Good Housekeeping study I read that found that a dishwasher uses 70% less water than handwashing the same number of dishes. Surely a serious homesteader should appreciate the conservation of that much water! I washed all of our dishes by hand for the first several years of my marriage, and if necessary, I’m sure I could summon that “lost skill” and do it again. But until it becomes necessary, I intend to be grateful for my dishwasher! I should note I am also grateful for indoor plumbing and safe, readily available water, the washing machine that gets our cloth diapers so clean, the food processor that purées my baby’s fresh food SO much faster and more thoroughly than I could do it by hand, the freezer that keeps it preserved until we need it, and the refrigerator that keeps our milk fresh (since we don’t have the option to keep a cow or goat in our neighborhood!). I would love to see you do a post on how you use your dishwasher and what you put in it. 🙂 I think that dishwashers are the ultimate luxury item and if it works into your life to have one it should be viewed as a blessing. Good for you! Amen!! And never apologize to others when you have nothing to apologize for!! I love your line about not wanting to live every page of a Little House on The Prairie book. Keep on doing what you are doing and let the haters hate somewhere else. Love it! My dishwasher kicked the bucket last year so I have reverted to washing by hand and I love it. At the moment we only have a manual post hole digger but for the larger jobs we rent an auger. I regularly use the washer and dryer (until I finally convince my husband to let me put up a clothes line), I have a riding mower, and I LOVE my electric sewing machine and can not imagine making an entire quilt by hand. I love my kitchen appliances, especially this time of year when canning and baking are in full swing. I enjoy this *simple* life and I strive to live as close to nature as possible, but I dont know that I could do away with some of my modern conveniences. Don’t get me wrong, I can survive a week or more without power, but if I dont absolutly have to…. You and me both Kris! I love your blog (please don’t toss your computer!). I’m appreciative that you are honest. Everyone is entitled to their opinion but there’s no need for rudeness. You just keep posting and I will keep reading. They are welcome to start their own blog! Btw, Laura was particularly fond of her electricity, when it finally got to her farm. You are doing a marvelous job! I love your website/blog…no apologies necessary! I finally got a dishwasher after 13 years without one. It was poetry-plain and simple. I have 5 kids and while I’m happy they know how to wash dishes, I love my appliances. Kudos to you. Love what you are doing and stand for. My sister bought a small farm and can’t wait to get our animals. Modern convieniences aee a must! A great read and thoughts I’ve shared too. I think people have a tendency to lump ‘homesteading’ into ‘old-times’ rather than viewing it as something that is a true “here and now” lifestyle. For instance, I’m a naturopathic medical student, while my profession is rooted in the past it is still changing with “modern” research and new knowledge (which I think makes it quite a grounded medicine). Unfortunately, people seem to think I’m going to school to be a “witch doctor” because they keep their minds inside a box. Frank Lloyd Wright often said: “kill the box!” and I whole-heartedly agree. Keep killin’ the box, Miss Modern-Homsteader. Oh yeah- I LOVE smashing boxes! 😉 Very good & interesting analogy regarding your naturopathic training- and I can totally see how people would get stuck thinking “in the box” with that too. What a cool profession you have! It’s all a matter of priorities, just try and take my espresso machine. But for the two of us, I can manage the dishes. During cheese and canning season, I sure miss the dishwasher for sanitation purposes. I love your blog and have learned so much already and have validated much of what I already do. Thanks for both of those things. It’s funny how some people couldn’t stand any part of homesteading and others want to make sure, just how you do it. I love it but…….I love to do it the way I want to do it, but always open to new or better ideas. Thanks again. Yes, yes and yes Jill! 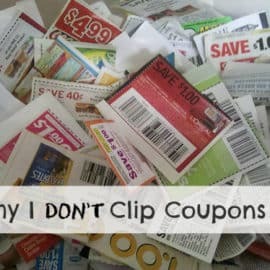 I too love my modern conveniences and things that make my life simpler! Homesteading is hard work and anything that gives me a little relief is GREAT! Yes, do I do many things in the DIY fashion- absolutely, but I have no desire to totally emulate pioneer women. I want to find the right mix for me and my family. I also work from home and try to balance my farmgirl stuff with my remote, corporate gig. I thank goodness for my appliances! I am shocked that folks rode your case. You are my kind of homesteader! You go girl! clothes and silverware – something that’s very hard to do by hand, and would use more water and energy. Both machines, if manufactured within the last 8 years or so, are more economical, for a larger family. Amen! I am a city dweller because I am too lazy to run a farm! I live in a small town surrounded by farms. My dad grew up farming. I am sure my grandmother wold have loved all of our modern conveniences on her farm with her 8 children. And, I watch my best friend and her husband farm. The work load is not for the faint of heart! I say we all use the amazing gifts of modern life with gratitude and spend any extra time we might have helping others! Surprised you found the time to write all that in between chores. I wouldn’t trade my washer/dryer for anything. I am old enough to remember hauling water, heating it on the stove and dragging in the wringer washer, filling it with hot water, filling the rinse tubs (2) with cold water and then dragging the clothes out to the clothes line. No sir. Washers are a definite step up. Not to mention the day I got my dishwasher, I noticed a definite decrease in the number of Upper Respiratory infections my kids got. At 61, and now on disability, I just ordered my first dishwasher 🙂 , mini-freezer (only one at home), & a Dyson vacuum! However, I am learning to can, use my dehydrator & grow the veggies I love in a small raised garden! So thankful for your hard work & courage!! So many of your posts crack me up! Yes, Ma Ingalls would have had a lot of things if it was up to her, she had the room, the means, and the funds. Someone once asked me what appliances could I do without. I answered, “Everything, but my washer.” I could adapt to everything else, except scrubbing my clothes on a rock, etc. till my knuckles bled. However, I do realize that if I did do without the electricity that I would have to modify my washer and my man would have to build something fantastic. Hehehe Wendy- And congrats on your bounty! What a treat! I was reading a book about Laura later in her life (forgive me I can’t recall the title) but they remarked that the kitchen in her last house had every modern convenience of the time. When you lived like she did all her life, I am sure she would have wanted to! So agree!! I have been thinking about this a lot in fact. I think many people who get hung up on cooking from scratch, for instance, imagine thy have to do everything by hand, not so! I was glad to see this article and I think it’s a needed reality check for everyone. Jill, this is an awesome post, thank you! Gives all of us living in the thick of it some much needed encouragement. A friend of mine used to say: “Do the best you can, with the time you have, for the glory of God.” I think that fits your work, too. I make my kids wash the dishes by hand because (a) I’m mean–just ask them, (b) I think it’s good for them to have to work together to wash and dry the dishes, and (c) because I think it’s important for them to have chores… and it’s something they can do *without* constant supervision. But, geesh! When *I* have to wash the dishes, into the dishwasher they go!!! This post was shared on Facebook by one of my Facebook/blogging friends (I assume she uses a computer for both activities and I know for a fact that she also has a cell phone). 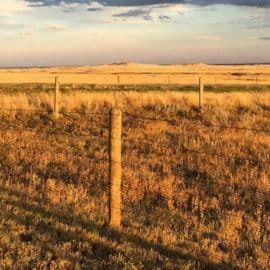 I was a homesteader in the early 1980’s and I think this is one of the best blog posts I’ve ever read. I held myself back from yelling “Right on!” because I am sitting in my back yard, using my laptop. . Shortly, I will wash my dishes in my urban house – by hand, after the meal my husband (yes, my husband) prepares, using a combination of supermarket and home grown food. When we set up our homestead in 1982 we did a lot of soul searching and decided on electricity, a phone, running water, a refrigerator, chickens, ducks and geese. We also heated with wood we chopped ourselves canned and froze stuff from our three gardens and used an outhouse. If I had still been there when the Internet happened, I would have been buying a computer just as soon as internet service became available to me. “I am a modern-homesteader, not a historical reenactor” indeed! I don’t have a dishwasher…YET! I am saving for one, though. I can’t believe people have the audacity, or time, to fault everything that they feel doesn’t fit the picture of homesteading. It is amazing how people can pick apart and judge someone else’s life, but it seems to be too commonplace these days. I guess it just goes to show that you just can’t please everyone. Keep up the great work…I love reading your posts! If I had to hand wash our clothes, you could bet I would be thinning them out! And…. My children would not be throwing clean clothes in the laundry because they were too lazy to put them away! If the dishwasher were the cook or the table setter, you could bet that fewer dishes and pots would be used! We just went two weeks without our refrigerator and found out how many of our foods really don’t need it. The rest went into the freezer. Yep, that still worked! I’m so glad, because we and lots of meat in the freezer section! I have noticed too, that this modern life has more commitments than the Ingalls could have imagined! Perhaps if we had to revert, we wouldn’t have these commitments? I really enjoy your blog! You show me little ways I can be more self-sufficient. And give me knowledge to store up for future use, if we ever have to go whole hog! YES- I absolutely adore my food processor when I’m making butter!! My question to them is what do u do if u dont have a washer?? scrub on a rock or plunger in a bucket?? Melissa, my mother-in-law, who lived on the farm in Australia, had this washer thing they called a twin tub. It did agitate, and use electricity, but you had to manually move the clothes from the agitator to the spinner. I helped her do the wash, and in half an hour we got five or six loads done and hung on the line. It saved tons of water, too, because you do the cleanest and lightest clothes first and move on to the dirtier stuff. I honestly think this is the way to go, if I can find one in the U.S., just because you can get so much done in a short time, hang it out and move on to something else. Just a thought. My grandparents built their own cabin in Lake Tahoe. That’s my favorite place on earth! When we had little people in diapers, I took my cloth diapers and diaper pail with us on vacations. I must be the last person to use my grandparents’ wringer washer at the cabin. I used it to wash my diapers! We hung them on the line too! That was fun! Thank you for bringing them up! While designing our new house, we gave lots of consideration to things like having only composting toilets, not installing air conditioning and so on. Right now we plan to live in our house for the rest of our lives. BUT, sometimes life throws one a curve ball and we realize that not everyone might find those features desirable, if ever we have to sell. So, yes, we will install plumbing and air conditioning and a dishwasher, so if ever we (or our children) have to sell we are not stuck with a lemon that nobody wants. Wow- you are an inspiration Miss Ruth! I bet I could learn a LOT from you!! I’m so sorry people were ugly to you about a dishwasher of all things. I’ve never really had a dishwasher, the few times I’ve had one in an apartment or rent house, we had to basically wash the dishes first or else they wouldn’t get clean. When we bought our home I was so glad it didn’t have a dishwasher since the kitchen is kind of small and I’d rather have the space. 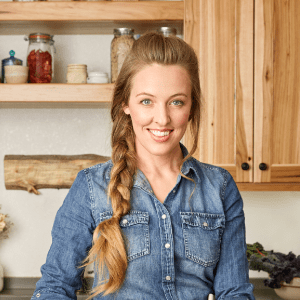 We have 6 children, a homestead – no cow- and I cook 3 meals a day from scratch. BUT, 5 of my 6 children are ages 11-19 and I’ve found a system that just works for us. Also, as my kids are getting old enough that they are starting to leave I can see that having a dishwasher won’t be as practicle when there’s just 2 or 3 of us. That being said, if you roll best with a dishwasher, then you should use a dishwasher. People should just get a grip, I would have never thought you didn’t have a dishwasher or that you live totally off grid. Hi Jill, greetings all the way from the Caribbean (Trinidad&Tobago) to be exact. I found your website one night ago and I am loving what I am seeing and reading. Your ebook is special, I read it in one go. I am just learning about essential oils and their uses so your info was timely. You had me bowled over in stitches with your answer to the critics. I support you all the way and from what I have just read, I am not the only one. I noticed that you are a follower of Jesus. He is my Commander-in Chief also. Thanks for sharing all the good things! I am looking forward to hearing and sharing some of my stuff with you. God bless you. Wonderful! I love how someone might comment on an entry in a homesteading internet website about the technologies that an author had a hundred years ago. I also enjoy your distinction between homesteading and reenacting. Please continue your good works! i remember my grandmother having a wringer power washing machine. it broke and she couldnt get the parts to fix it so she had to go to a regular one and she loved it and wonder why she had waited so long. But never would have a dishwasher. I’m with Ruth in that I’m 70 and have done the hauling and heating of water and washed clothes by hand. Best gift I ever received was a second hand Maytag wringer washer — no more diapers by hand. I certainly hope never to have to do washing by hand again. The washing part isn’t hard but the wringing is murder on hands. We do not have a dishwasher. After replacing it 5 or 6 times in 12 years I said enough already, I’ll wash them by hand. Dh often does them so it gives me a break! When we had 4 teenage girls in the house they took turns rinsing the dishes and loading the dishwasher. I got sick and tired of the fighting over it so I told them the next cross word I heard they were going to wash the dishes by hand…followed by one more word from you and you’ll be washing every dish and pan in the cupboards. I do think it is good to do things by hand just so that you know how to. It doesn’t mean you should give up your machines, just once in a while do it the old/hard way for the experience. I enjoy using my treadle sewing machine occasionally, but I’m not about to give up my Janome any time soon. Go girl! I totally agree with all the positive comments both worlds fit together well and if they haven’t realised this and want to go back to the dark ages for women then let ’em! This was great! Just because you have the skills to survive without a few conveniences doesn’t mean you have to. I can’t imagine this season without my food processor, dishwasher, and stove! Love this post, love your blog, and I appreciate your realistic approach to the simple life. When you are a mother of more than one, and live on a farm. Things could be a little easier at times. I have a 13 year old, 11 year old, 9 year old and 8 year old. Yes, we live on a small farm. We have cows, rabbits, goats, dogs, and cats. We love are animals. So if you have a little modern world to help with taking care of what you love. I would say GO FOR IT. We wish we had a dishwasher. But our kitchen is not made for a dishwasher. And believe me we all wish it did. I see not a thing wrong with had a little modern to make life a little easier for the things you love to do. This actually made me laugh out loud. Unlike many of you I have been around when our way of life was what one might called FORCED homesteading. Our plumbing was a well and an outhouse. To take a bath we heated water in half a 50 gallon drum over an open fire and carried the water in buckets to the outdoor tub that drained into the row of a grape vineyard. THERE WAS NO TV. Not because we were poor but because it was the way it was back then. Our refrigerator was truly an old box covered at the front with a burlap bag and the top section was a block of ice which had to be hauled from an ice house about 10 miles away. All of this occurred in the middle of the central valley of California … not Appalachia. Here is a little thought for any who criticize you … it is likely they would not last more than a month if the lights went out for good. I have offered a little test for those who THINK THEY CAN SURVIVE? Walk out your front door to your breaker box and switch it to OFF FOR A MONTH. It is likely you would be screaming UNCLE in less than a week. We were conditioned to what we had and were immensely grateful for every new invention that came our way. Do I as a relatively OLD LADY still do many of those old things? YOU BET! … but it is by choice and because in many cases they are better ways. You my dear have a lovely site with much great information … I I love it! Love you and your blog! 🙂 This post made me laugh! You go girl!! Amen and Hallelujah, sister!! I’ve been a working mom of four and would have killed for a dishwasher, never mind babying my thrift store washing machine that lasted for years! Who says our ancestors wouldn’t have cheerfully used any kind of appliance like we have nowadays, too? Even though it’s down to just my husband and me and a relative I care for, I’ve come to an age where I really appreciate the usefulness of modern appliances. I do a lot by hand, it’s just easier for me now. Besides, I’ve done laundry without a washing machine, chopped many things by hand, still do the dishes in the sink every day, and cooked over fire because I had to, electricity makes it so much easier! My goal is one of the old Maytag washers that you can run by hand or machine for off grid living. Besides, I love my computer, TV, radio, etc, for what they add to my life! I used your oven cleaner solution the other day and WOW did it work well. I’ll leave a comment on that post about how I even improved it. Thank you! You go girl! I can’t believe that people would give you a hard time about using modern conveniences. For crying out loud, this is 2013! What do they expect? Especially since you do put your blog out on the computer, a modern convenience! My hat is off to you for all that you do each day! I think you are awesome! I LOVE your honesty and your sense of humor! This was a great post! Even if I lived off grid I would still want at least a washing machine! Keep up the great work Jill! I happen to have a fabulous dishwasher: high efficiency, gets the dishes cleaner than I could ever myself, – and makes me a cup of tea at the end of the cycle. So I’m lucky, and our “official” dishwasher is used as storage for extra plates and such. But I’m with Sarah, I couldn’t do without a washing machine. We’re a homesteading family of five. Husband works full time (from home no less), we raise poultry, goats, and livestock guardian dogs. We adhere to the GAPS diet and I had to give up on posting to my site years ago. Our dishwasher died and it took 3 weeks for us to get it replaced. During this time I thought our entire lives would unravel. The effort of hand washing all those dishes took so much time (with the kids help) that chores were getting dropped all over the place, and dinner was regularly on the table at bedtime. This ain’t Little House on the Prairie, and families are no longer required to spend their entire day moving from one survival effort to the other. Anyone with time to comment on Facebook ought to take a look at what level of historical reenactment they are achieving before criticizing. People can just blow your mind, eh? Yes! These conveniences enable you to spend more time doing things that matter. The fact that people would rag on you about that is crazy. Keep on keeping on, and I’ll be there with you! I get it..I really do, but that photo with the forks and spoons all perfectly aligned in the dishwasher is freaking me out!!!!! Haha– I KNOW! It’s totally NOT my dishwasher– just a stock photo… But it was the only good one I could find- hehe. Oh my gosh, you are only one woman and human!! What do they expect? We moved into a house without a dishwasher and for almost 9 months had to hand wash dishes. It sucked. It took away time from spending time with my toddler and time when I could be doing productive and rewarding things like knitting and sewing. Actually, we use a lot LESS water now that we have a dishwasher . . . on another now, I do also LOVE hanging clothes on the line, it’s relaxing and weirdly satisfying. I admit, I loved my dishwasher for washing bottles, etc., but we did sell it a year ago and I never regretted it. I found that my husband, son, and I took so many days to fill the dishwasher, that we would have to wash them anyways. It doesn’t bother me and we sold the dishwasher on Craigslist for what we paid for it! My husband an I are volunteer interpreters every year at Fort Michilimackinac, a historic reconstruction of a 1700’s trading post/fort. There we try to do everything as authentically as possible, including cooking on the hearth, carrying water for cooking, gardening and cleaning, etc. – but literally “at the end of the day,” we go back to our apartment, take showers, read by incandescent light, cook with modern appliances, and wash our smoky clothes at the laundrymat. Yes, I have some of the skills needed to be an 18th century “house wif,” and some, like spinning, baking in an outdoor bread oven, or making household cleaners and soaps, are useful and enjoyable in “real life,” But I wouldn’t choose to give up many of the “modern conveniences” that make it possible (giving us the time) to be modern homesteaders. What a great post!!! What bugs me is that these days, they make things to break instead of making them last. Nothing wrong with technology! I love your blog and I follow you o FB. Xo, M.
Jill…thank you for you all that you do to help others learn how to live wholesome lives. I personally use some of your techniques you have taught us….such as rendering tallow in the crockpot and making yogurt. Both of these techniques have simplified how I do these tasks! I too love having my modern appliances….although I love hanging my laundry on the line outside rather than using the dryer. I love knowing what is in our food and how it was prepared, as well as what we use for other tasks such as cleaning, etc. By combining the modern technology with old-fashioned values we can live happy healthier lives. I am always anxious to see your new posts and love learning new ways of doing things. You are so welcome Deb! Thanks for your sweet comment! Sheesh! There has always been something called: “modern technology” in the world. If Laura Ingalls Wilder was given the opportunity to have a fridge or dishwasher in her kitchen, do we really think she’d say, “No thanks”? I remember Pa Ingalls being pretty darn grateful for a new fangled “modern” threshing machine in Little House In the Big Woods! I think it’s great that we can embrace as much, or as little technology as we want. I hear tell that Beatrix Potter was old school; she didn’t want electricity in any of her homes, or barns. Her choice. People can be so ridiculous.